If you’re like most people, getting your house ready to sell is an overwhelming thought. Keep it simple with these 3 steps! 1. Clean inside and out! Home buyers are turned off by other peoples dirt. Inside: Clean your home from top to bottom and make sure your bathrooms and kitchen are spotless before each showing! Outside: make sure landscaping is clean cut, and your personal property (toys and tools, etc.) are put away. Little details matter when selling your home! Make sure to patch little holes in the drywall, and get that leaky faucet repaired! Potential buyers will notice anything left un-fixed. Make each showing count by making fixes before you list your home. Potential home buyers often feel uneasy about the condition of your house in need of any repairs! 3. Stage Your Home To Sell! Staging your home starts with de-cluttering, decorating or organizing your furniture and belongings to define a space, and de personalizing. So put your family pictures and stacks of bills away. Make sure that each space looks it’s best for the space. 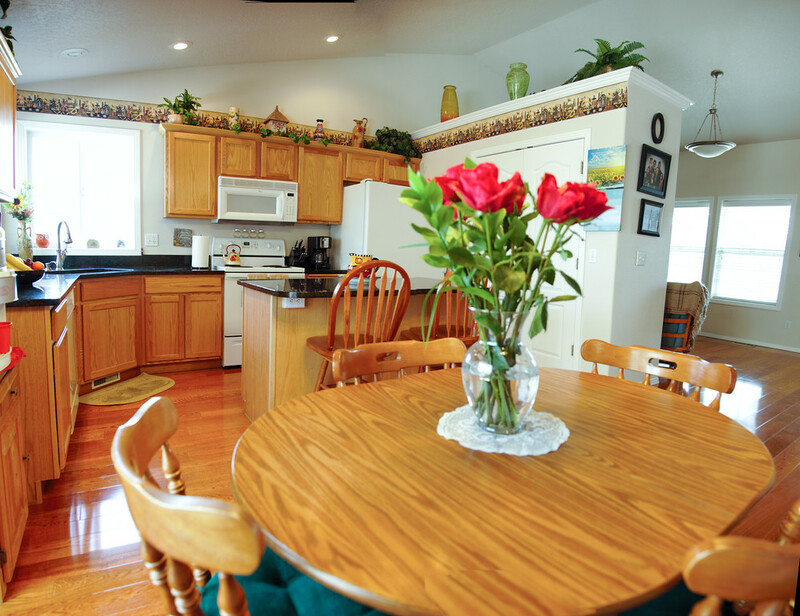 Example: Dining rooms should have a clean table with a vase of flowers and chairs around it. If possible center the table under the chandelier!